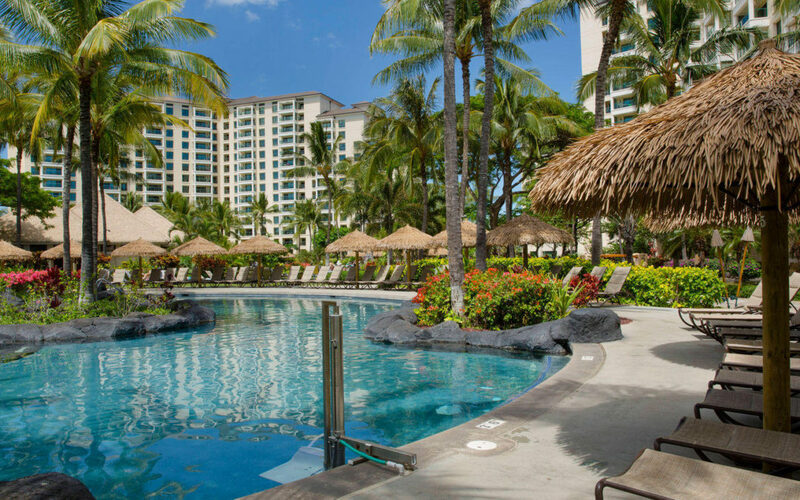 Many travelers don’t know that timeshares—yes, the same timeshares you’ve heard nightmare stories about with their typically high-pressure sales presentations—are now readily available to rent in nearly all prime travel destinations. Timeshares are typically one-, two-, or three-bedroom condos. Renting a timeshare from an owner is easy and, like Airbnb, you get the benefit of home-like accommodations and much lower nightly rates. You don’t even have to take a dreaded “tour” to get these deals. Can you share this insight on why timeshares are making a comeback, courtesy of RedWeek? You could find a house with a beautiful pool and winding lazy river and pay about a bajillion dollars a night. Or, rent a unit in a resort, where you typically have access to pools, bars and restaurants, spas, fitness centers, and other activities. Timeshare owners pay annual maintenance fees for the upkeep of resort properties, so most resorts maintain a high standard of keeping them up. If you are traveling with someone with a disability, most resorts have rooms to accommodate. Good luck hunting down vacation homes that are ADA compliant. Let’s be honest. With a house, you are never quite sure what their standards are for beds, furniture, and cleanliness. That queen bed may be a 20-year-old futon mattress from the owner’s college days. Resorts have more riding on a bad review and have more reason to keep their beds comfortable and furnishings updated. When you arrive at a timeshare resort, you can expect a high-level of customer service because it’s a professionally managed property. Someone will always be available on the site or at the front desk to help you with any issues. Renting a house and run out of towels? Not enough toilet paper? Noisy neighbors? You’re often on your own. Have you read the recent stories about hidden security cameras in vacation homes? Ugh, so have we. Resorts aren’t immune to the problem, but with regular maintenance reviews and oversight, it’s far less likely. Major chains like Marriott, Hyatt, and Hilton have more at risk if a security issue slips through the cracks, and they have policies in place to prevent a problem. Have you ever wondered how often those homes change their keys or front door codes? Resorts have thought that through and have the highest standards for security. Resorts also have to comply with safety standards and pass regular reviews which many vacation homeowners are able to skirt around. Knowing you have the resort’s oversight over working smoke detectors, ensuring a sufficient number of fire escapes, and informing staff on all other emergency procedures offers a huge peace of mind. Planning a wedding or a family reunion? Rather than hunting for a huge house, or many houses spread out in a neighborhood, you can book a bunch of rooms in the same resort. Most popular destinations have enough owners renting the same week that you can easily book multiple units. Example: Aruba Surf Club is one of the most popular timeshare resorts in the world—you can book rooms from owners at 40 – 60% less than the resort’s direct price. Your whole party would save money, have a consistent experience, and have spaces to gather—pools, beaches, restaurants, even the lobby. Websites like RedWeek.com are a good place to start your search. They specialize in timeshare rentals and have availability in nearly all your favorite vacation spots. Many weeks can be booked directly online with payment protection.